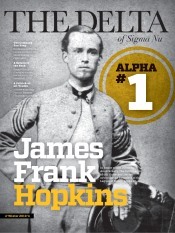 The Delta - Latest News - Interview with Mike Dilbeck Article - Sigma Nu Fraternity, Inc.
We all deserve to know we are worthy. We all deserve to know we are valuable. We all deserve to be treated like we matter. This is what dignity is all about. Sigma Nu is proud to be a founding sponsor of DignityU, a project created and produced by Mike Dilbeck (Texas Christian), with support from expert consultant Dr. Donna Hicks, to provide education on the important topic of dignity. We sat down with Brother Dilbeck to learn more about this new project and why an understanding of dignity is critical for today’s college student. You have spent much of your career developing educational resources for the fraternity and sorority community. Why do you continue to invest in this community? As a proud alumnus of the fraternity and sorority community, I continue to believe in the value and worth of every national organization, chapter, and individual member. Every organization was founded on a fundamental set of values designed to impact every member and society. While we each believe in our respective values, we don’t always take the action to live out these values. Therefore, ongoing education programs are needed to empower us to live out the ritual we gave our oath to when we were initiated, and I am honored to fulfill this need in whatever way I can. As a former General Fraternity staff member, current chapter advisor, and professional speaker who has spoken to chapters across this country, I have seen the good, the bad, and the ugly of fraternity life and I am committed to making sure that fraternity is always delivered and experienced the way it was intended. DignityU is an educational program designed to empower us to always honor the dignity of another human being — to make sure that every person knows they are valuable and worthy. 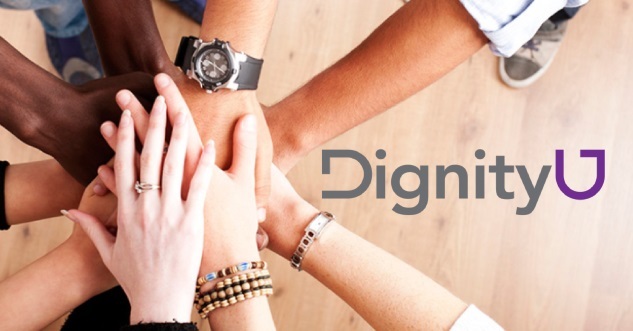 Currently supported by 25 national fraternity and sorority organizations, DignityU has an online portal that provides videos, facilitator training materials, workshop curricula (45, 60, and 90-minute timelines), and social media elements for any facilitator to have a powerful conversation about dignity with any group. What sparked your interest in the topic of dignity? 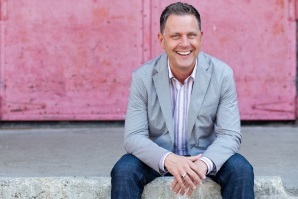 As the founder of RESPONSE ABILITY – the award-winning program on bystander intervention – I have been traveling the country for the past 12 years delivering this program, primarily to members of the fraternity and sorority community on college campuses. While I continue to empower others to stand up, step in, and speak out in problem situations, I realized two years ago that there is another conversation we also need to be having to provide the fraternity experience our founders intended. A good friend and fellow speaker, Dr. Lori Hart, suggested I look at the possibility of addressing dignity – our inherent birthright of being valuable and worthy. As I explored this concept more and came across the brilliant work of Dr. Donna Hicks, I knew this concept was it – this is what we need to be talking about and using to impact our actions towards others. Why focus on dignity for the college student population? Particularly members of Greek-letter organizations? While college can be one of the most fun, positive, and growing experiences of our lives, it can also be the most challenging. Many students are navigating what it looks like to belong and to relate to people at a new level. While we are all born with the commitment to honor people’s dignity, we are not born knowing how to act like it. Looking at the recent challenges on college campuses around this country, this is what it all comes down to: When dignity is honored, hazing is not possible. When dignity is honored, sexual violence is not possible. When dignity is honored, discrimination is not possible. Conversely, when dignity is honored, people — especially our own brothers — are lifted up rather than torn down. I believe this would be the fulfillment of fraternity as it is designed to be. What kind of individuals should men should look to as role models? I encourage us all to ask ourselves, “Who do I have in my life that makes me feel better about myself from being around them?” Said another way, “Who do I have in my life that always lifts me up rather than tears me down?” I believe we all have these people in our lives and we are all better for it. How does dignity intertwine with Sigma Nu’s values of Love, Honor, and Truth? I believe when you honor someone’s dignity, you express love in an authentic way. I believe when you lift someone up rather than tear them down, you honor them as a valuable and worthy human being…and you honor yourself. I believe when you honor someone’s dignity, you are living out your true self and staying true to your commitments. 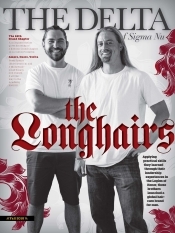 Why should a collegiate member of Sigma Nu engage with DignityU? If you are committed to providing the fraternity experience – for yourself and others – the way it’s designed to be, then you should engage with DignityU. If you want to join with me in creating a world where everyone knows they are valuable and worthy, then you should engage with DignityU! The DignityU program is now available for all Sigma Nu members by simply creating an account on the Sigma Nu DignityU portal at https://www.dignityu.com/sigmanu. Your chapter’s Leadership Consultant can also facilitate any of the DignityU workshops as part of the chapter consultation. Simply ask your Commander to ask for DignityU when making the consultation schedule! If you should have any questions about DignityU, please contact Director of Health and Safety, Fred Dobry, at fred.dobry@sigmanu.org.